Hi guys, new here so would appreciate the help. 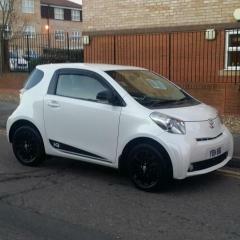 Over the weekend I went to view two Toyota IQ’s to buy, one one on Saturday and one on Sunday. 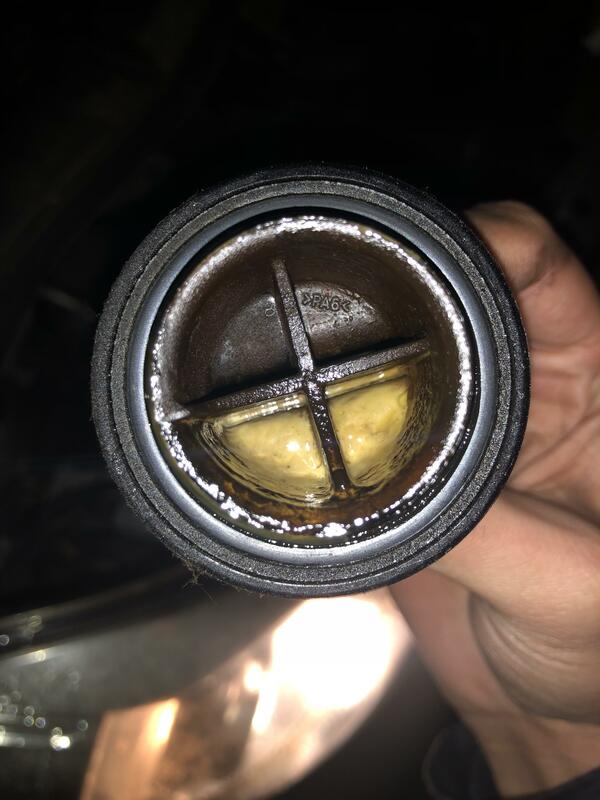 Both I left for the very same reason, they had yellow milky frothy type substance on the engine Oil cap, which immediately shouted Head Gasket symptoms to me. Both were 2010 and both had about 80k on the clock. 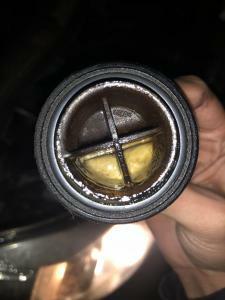 The photos attached are from each of the IQ’s engine Oil cap. I've got a 2014 1.0 IQ with 30+k miles and get this. It is normally a result of short journeys and I've always known it as "mayonnaising". Hooe you find what you're looking for. It does form in the cap normally. The cap gets Oil in it, gets hot when running but is in the cold airflow over the engine so it makes condensation quite nicely. Just clean it out when you service the engine and it will be fine. How can I be 100% certain that its not a head gasket issue? Last thing I want is buying a car with a H.G problem and then it costs me £800+ to fix. Usually milky desposits like this would suggest a head gasket problem. Figured it happens when you drive the car on short runs. 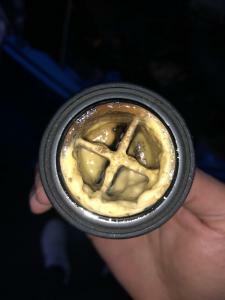 Engine Oil doesn't warm up that much and the moisture doesn't vaporize. Check if there is some Oil in the coolant. (that is a big indication of a BHG). If there is no Oil there, and the car runs ok, there is a big chance of a falls alarm, just needs some led foot driving :) . How can I be 100% certain that its not a head gasket issue?